Shopping for Star Wars Clocks? 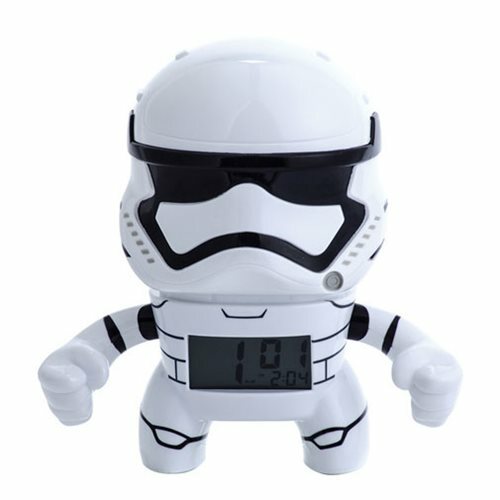 Wake up in a galaxy far away with the Star Wars 7 1/2-Inch Stormtrooper Bulb Botz Clock! This unique clock features an easy to read LCD display, offers different alarm settings, and features a glowing head alarm function! This Star Wars 7 1/2-Inch Stormtrooper Bulb Botz Clock measures about 7 1/2-inches tall and comes packaged in a window box. Requires 2x "AAA" batteries (included).